Well, actually, we’ve been on Twitter for ages, obviously, but we’ve now got it sorted so us DJs can reply to all your Tweets while we’re on air! Our main Twitter stream is here, but all the DJs are on as well under their own names too – there’s me, Iain Baker,as well as Neil Cole, Chris Martin….do some digging and you’ll find everyone else. 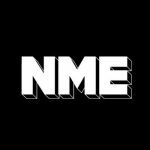 Another busy week at NME Radio, we’ve got Doves day coming up this Friday, Jez and Andy from the band will be taking over NME Radio for an hour from 2pm to play some of their favourite tunes as well as an exclusive for play of album track ‘The Outsiders’! Don’t forget, if you’ve not got it yet, you can still download the awesome ‘Still Going’ remix of the title track, absolutely free. While we’re on the subject of free downloads, I’ve decided to join Tim Chester on his quest to supply the world with free music on a daily basis – if you email me in the studio while I’m on air, I’ll send you links to some of the tunes that I’ve found on the blogosphere. It’s been a good way of finding tunes to get on the playlist, too – my record of the week for this week – ‘My Balloon’ by (the rather unfortunately named) Men Without Pants – was found whilst absent-mindedly trawling the web. So if anyone’s got anything they think I should hear, let me know! It’s also been a great way of sharing odd websites and great videos with the listeners too – the best clip we’ve featured recently has been this home-made film from Holland, which is a cross between ‘Cloverfield’ and ‘Half Life 2’.